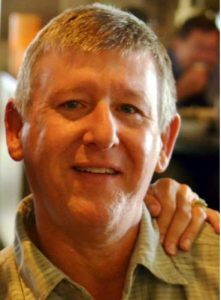 Funeral services for Fredrick Tad McFarland, 62, West Plains, Missouri, will be held at 2:00 p.m., Friday, January 18, 2019 at the Langston Street Chapel of Robertson-Drago Funeral Home. Mr. McFarland passed away at 10:11 p.m., Monday, January 14, 2019 at his home. Tad was born February 10, 1956 in Lawrenceville, Illinois to Fredrick and Virginia McFarland. On December 20, 1986 he was married to Rhonda Adams, the love of his life, in West Plains, Missouri. Tad worked as the Quality Control Inspector for Armstrong Flooring for 20 years and the service department at John Deere for 8 years to follow. Tad loved having family get-togethers and firing up the BBQ grill. He was a big kid at heart and loved when his grand babies came to visit. Tad was an avid outdoorsman. He spent any free time he could find in a deer stand or river bank with a fishing pole in his hands. He enjoyed watching football and basketball games with his son and son-in-law. Tad was known for his big heart and willingness to help others. Tad is survived by his wife, Rhonda, of the family home; two children Matthew McFarland and wife, Heidi, of West Plains Missouri; Tessa Corey and husband, Andrew, of Caulfield, Missouri; three grandchildren and one on the way, Harper, Briar, and Nash; one brother, Pat McFarland and wife, Sherry, of Lawrenceville, Illinois; one sister, Sue Seber and husband, Hayward, of Lawrenceville, Illinois; and several nieces and nephews. His parents and one niece preceded him in death. Visitation will be held from 6:00 until 8:00 p.m., Thursday, at the Langston Street Chapel of Robertson-Drago Funeral Home. Burial will be in the Howell Memorial Park Cemetery. In lieu of flowers, the family requests memorial contributions be made to the family and may be left at Robertson-Drago Funeral Home. Tad was a very kind person and myself and my coworkers enjoyed working with him through the years when he was at the Armstrong plant in Warren Arkansas. He always had a smile and kind word to say. We are very sorry for the family’s loss and will keep them all in our thoughts and prayers. I want to extend my deepest sympathy to you and your family upon the loss of your Father. May God encourage, strengthen, and comfort all of you thru this difficult time. Prayers for all of you. May God bless each one of you. I am so sad by hearing this news. I grew up next to Tad and his family. He was always the nicest person and never met a stranger. I will forever remember him and his kind heart. My thoughts and prayers are with his family. Matt and family, Chuck and I are so sad to hear about your great loss. You are in our thoughts and pray that God will bless your family with strength in the days ahead. So very sorry to hear this. Rhonda and family you are in our thoughts and prayers! Tessa and family, Logan, Haley and I are so sorry for your loss. We are praying for you all. Rhonda and family I am so very sorry to hear of your loss. Tad was always such a nice person. Prayers to your family.